Key Difference: Murder is the killing of one human being by another. It is usually done for personal reason such as love, anger, or greed. An assassination is the murder of an important person which is conducted for political or religious reasons. The terms murder and assassination are often used interchangeably, as they both have something to do with the death of someone. However, what a lot of people don’t realize is that murder and assassination have two different implications. Murder is the killing of one human being by another. It is usually done for personal reason such as love, anger, or greed. 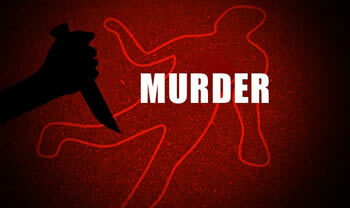 The motive for murder is usually that the murderer stands to benefit in some way, such as the murder of a rival, which will ensure their own win, or the murder of a family member or benefactor, which may result in inheritance of money. In fact, love, greed, or revenge is usually the most common motive for murder. Assassination is almost the same as murder, as in it results in the killing of another human being. However, it differs from murder in motive. While, murder is done for person reasons, such as revenge or greed, an assassination is conducted for political or religious reasons. Alternately, it may also be conducted for money, wherein somebody pays another to kill a person; or for a desire for fame or notoriety. Basically, any murder in which the murderer does not directly benefit from the murder can be classified as an assassination. However, it should also be noted that in order to be called an assassination the victim is typically a famous or important person. The impact of such a person’s death would be more widespread than then murder of regular person. Due to this, an assassination is commonly employed as a tactic in politics, where the political leaders of the opposing parties or other important figures may be targeted for assassination. It may also be conducted due to military reasons where the assassination of the opposing army’s general or leadership can result in the win for the assassinating side. The action of assassinating someone. Assassinate - Murder (an important person) for political or religious reasons. The killing of a person whose death will have a widespread impact. Usually a famous and/or important person. He murdered her because he suspected her of having an affair. She murdered him for his inheritance. It was an impulsive murder. The assassination of Archduke Ferdinand led to World War I. 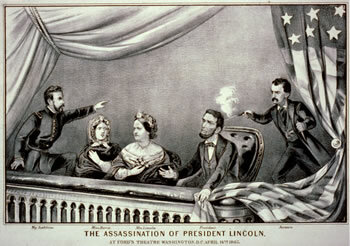 President Lincoln was assassinated in a theater.